We recently purchased a very nice gas grill. It’s really great, but we sometimes still like the flavor of charcoal grilling. Rather than just buy a charcoal grill, we decided to build one from scratch. Here is the beginning of the base. 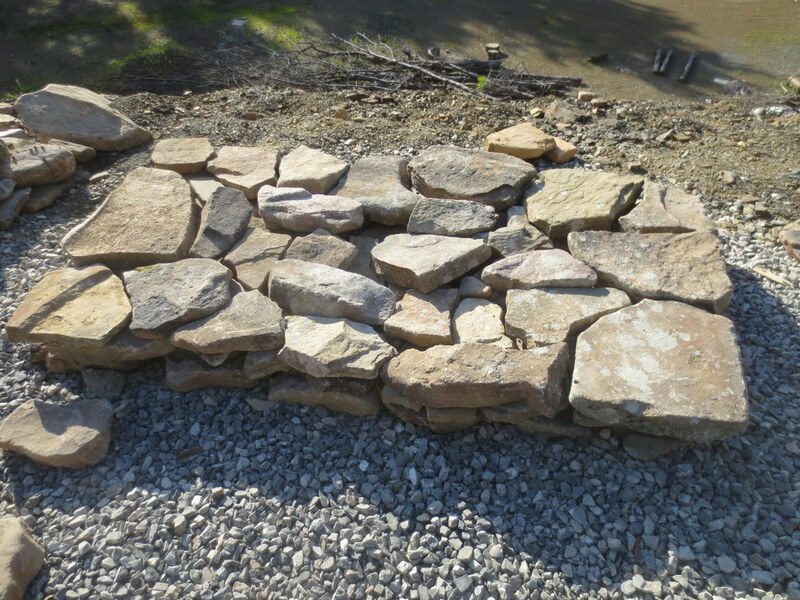 We are going for a dry-stack look, but using mortar to make it very sturdy. 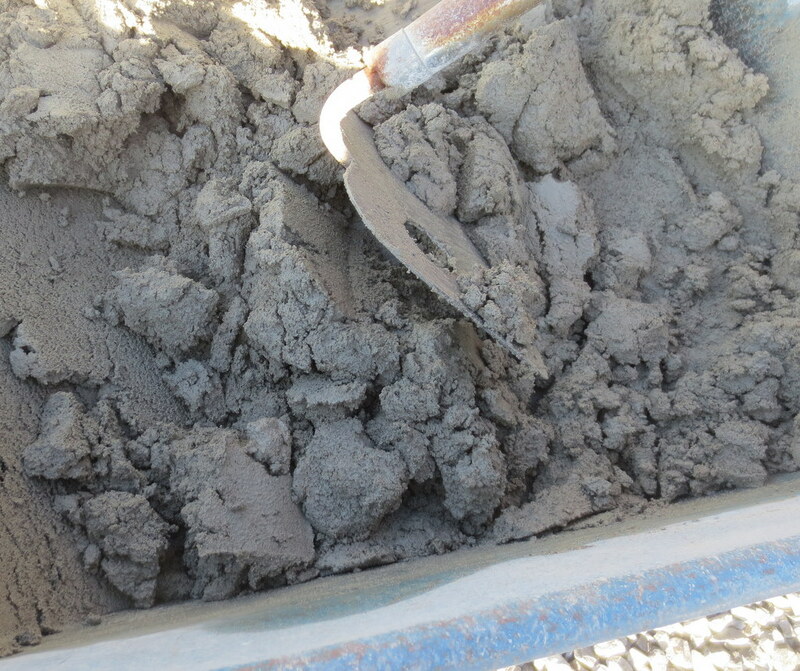 Mixing mortar in the wheelbarrow. Not too much water! 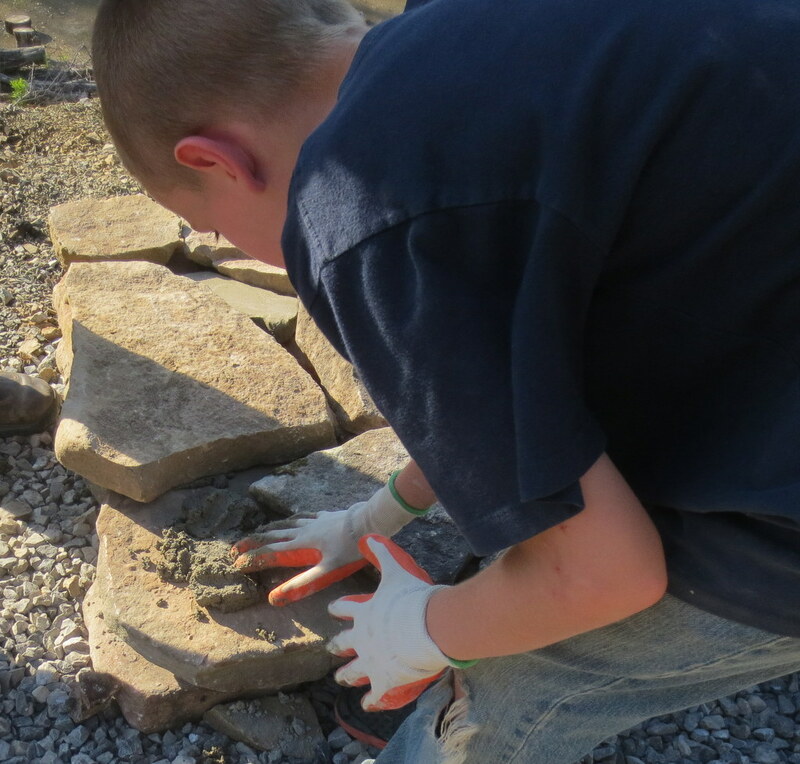 Using rubber gloves to lay down the mortar between the stones. It’s like a big puzzle. 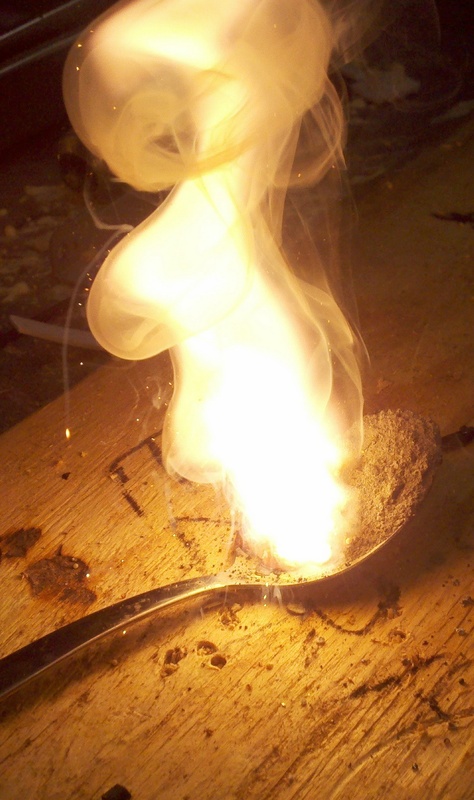 [Charcoal + Potassium Nitrate + Sulphur] when ground together in the right proportion, make … great photos! 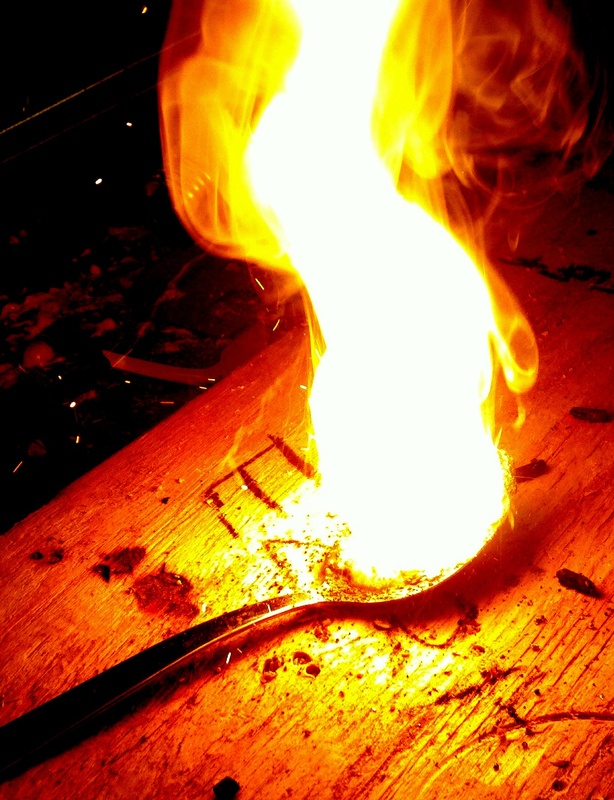 Here is a scene from chemistry class. 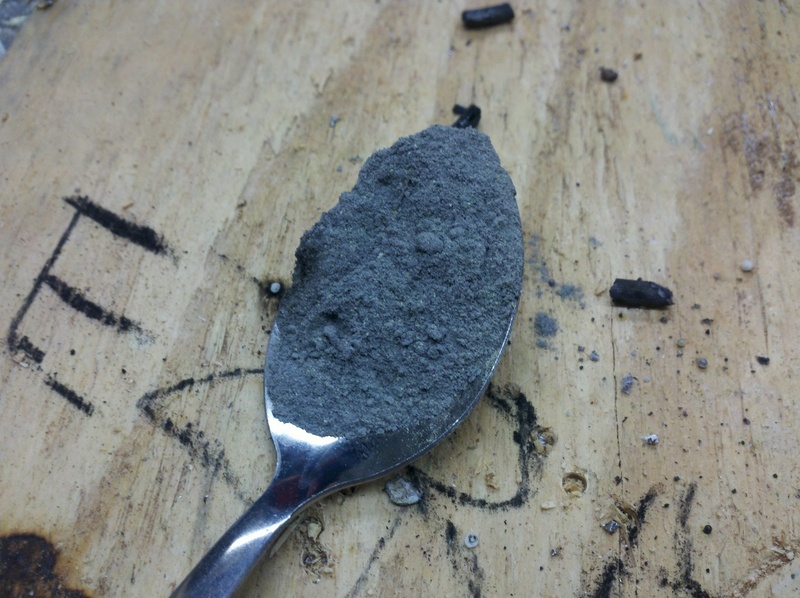 First, we made charcoal by heating hardwood without oxygen. This produces a lot of smoke, but in the end, all that’s left in the test tube is charcoal sticks. 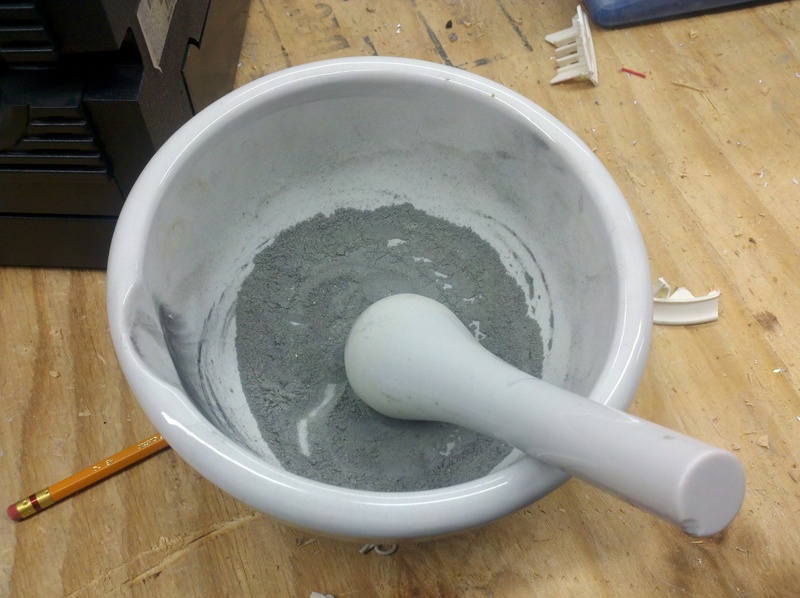 Second, we ground the charcoal to a powder, and added a some potassium nitrate and sulphur. Upon touching a hot coal to it, it ignited and combusted with a lot of smoke!